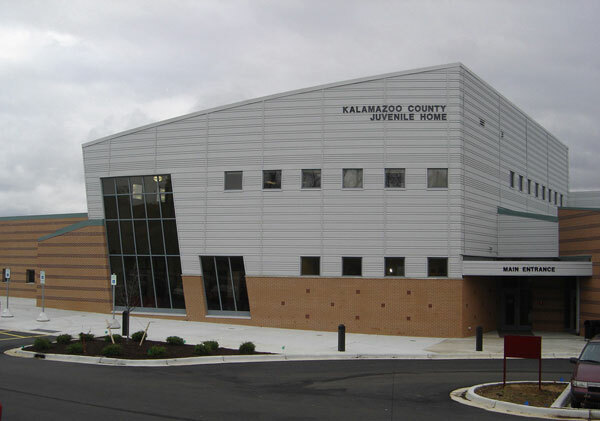 The Kalamazoo County Juvenile Home is the only secure facility in Kalamazoo County that houses young persons who have violated the law and holds them until court processes are completed and more permanent placemen	ts are made. An visitation appointment for youth must be scheduled ahead of time by calling 269-385-8500. You must provide photo identification upon arrival. The Juvenile Home offers a comprehensive range of programs that include skill building, educational and vocational training, conflict resolution and mediation training. All programming is intended to allow young people in our care to develop skills that may reduce criminal and other offensive behaviors. Our work with young people is challenging and motivating. It is challenging in that more, younger youth are coming to our attention, bringing a multitude of behavioral and psychological problems to our daily work and motivating because we are always seeking to improve programming that provides options for individual student development. We encourage personal growth and offer a chance for youth to develop respect, set personal goals and learn responsibility and accountability towards others. Other important values in this facility are respect for human potential, dignity/self worth and perseverance. We believe Secure Detention should be a safe, secure learning environment that promotes growth, choice and alternatives. We believe youth should engage in a balanced approach to repairing the harm they have done in the community. We believe youth have the capacity to change.